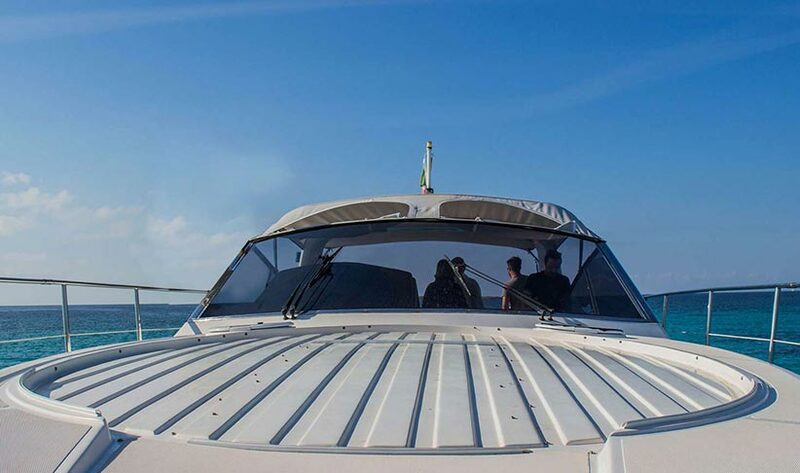 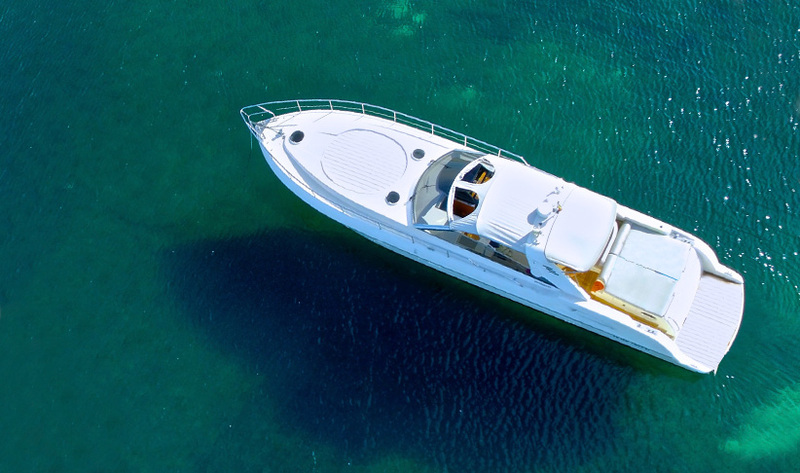 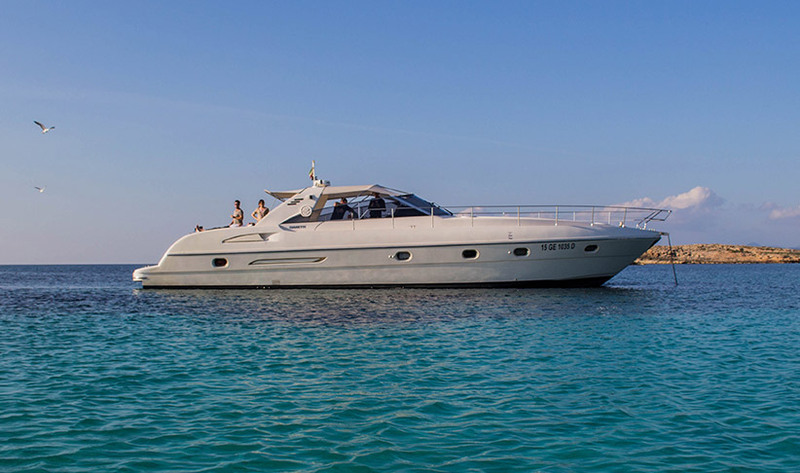 The Gianetti 55 Sport is an excellent charter boat with a great entertaining space front and rear, a good music system, a generous drinks package and an attentive crew (skipper and hostess), to ensure you are well looked after. 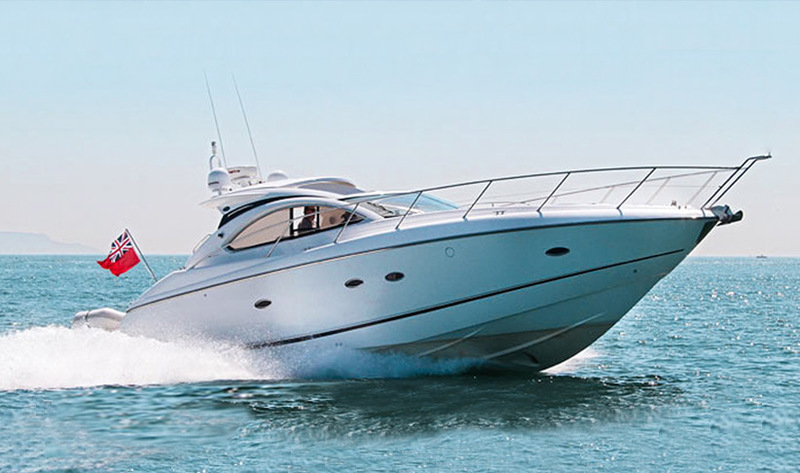 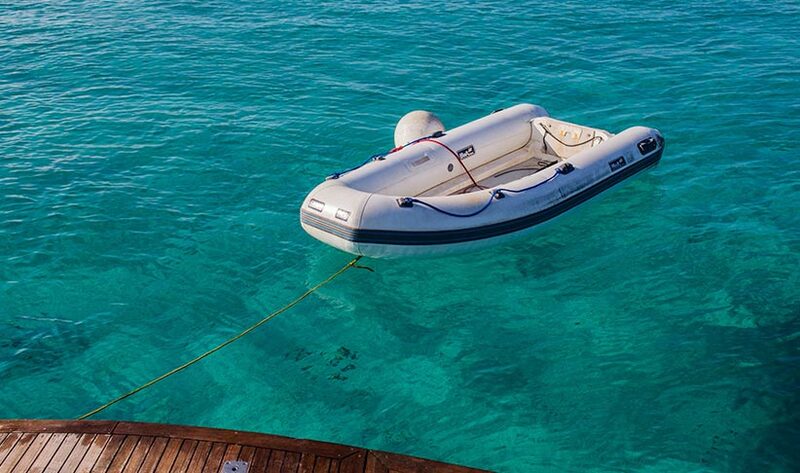 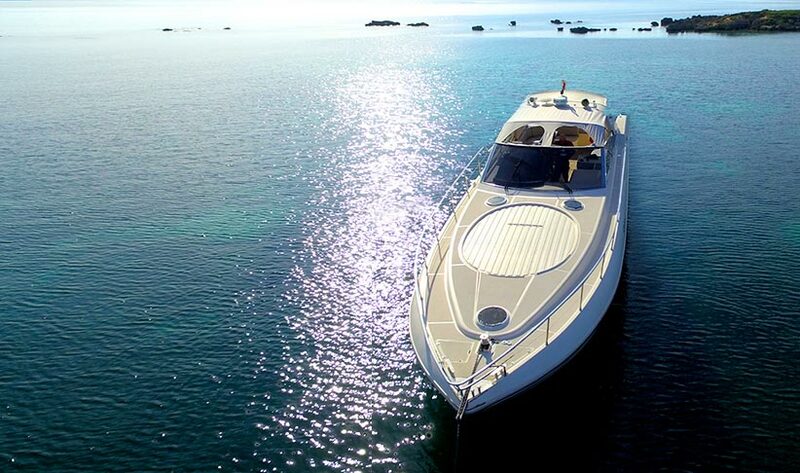 With a top speed of up to 30 knots and an onboard tender, the possibilities are limitless. 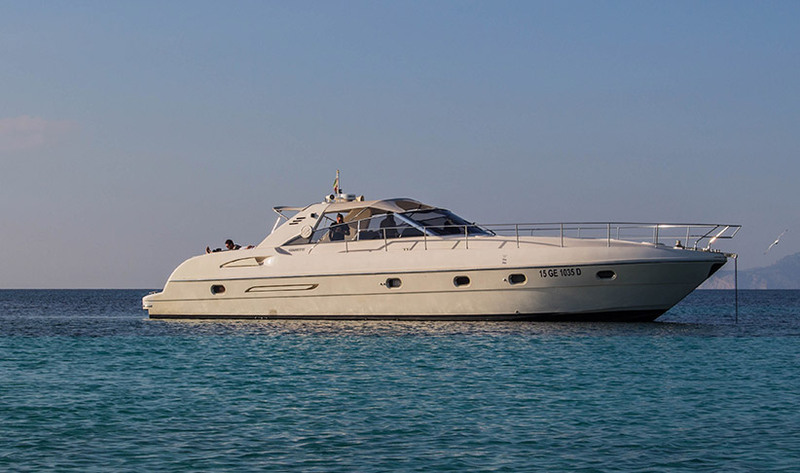 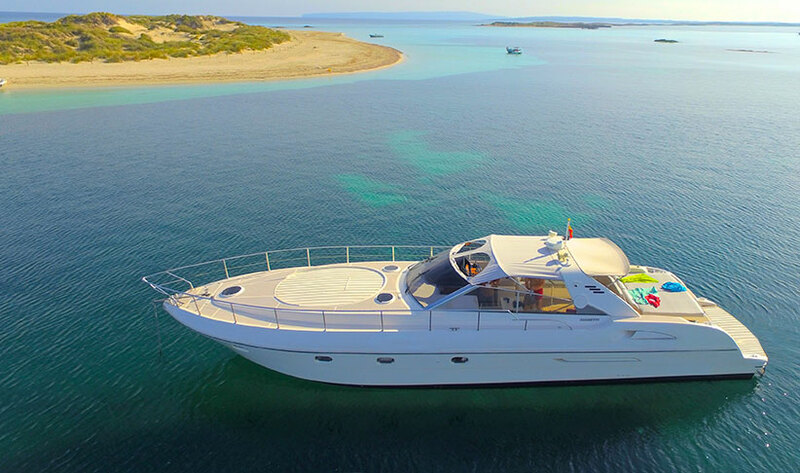 Overnight she comfortably accommodates up to 6 people in 3 cabins, either in her baseport, Magna in the heart of Ibiza old town or in a bay off Ibiza or Formentera. 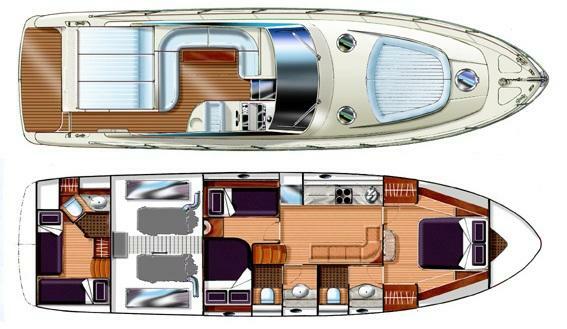 The forward cabin is spacious and roomy with central double berth, hanging wardrobe, opening hatch and en-suite bathroom. 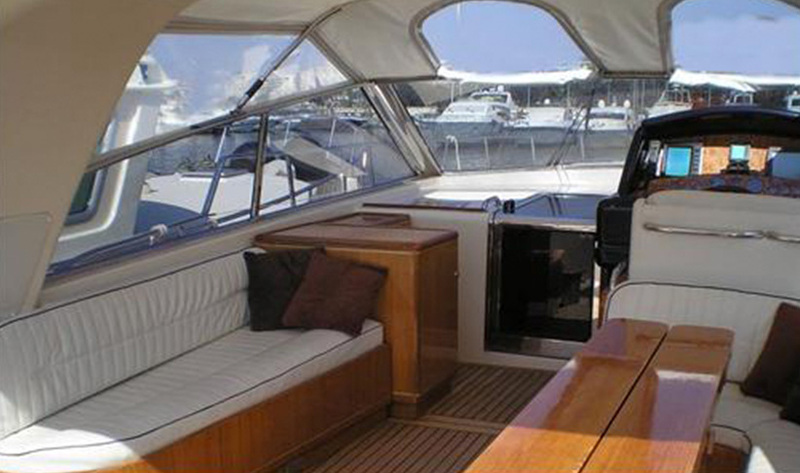 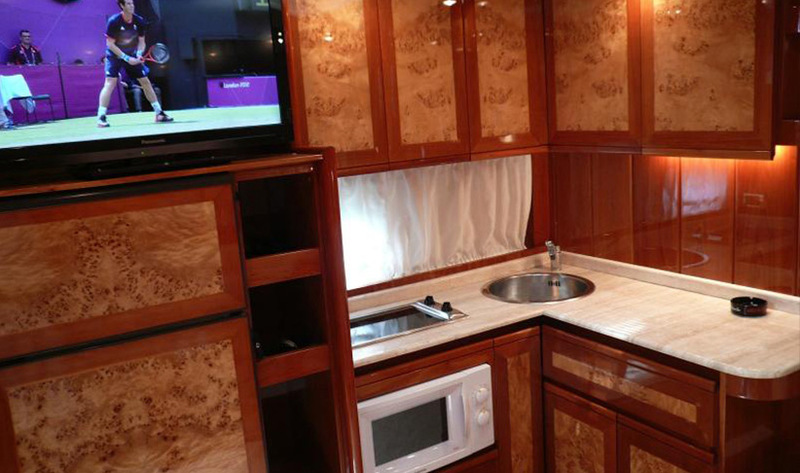 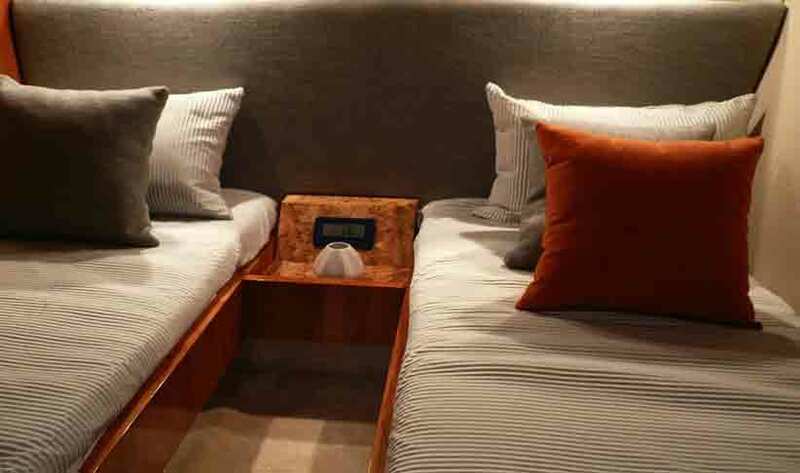 The port side double berth cabin and twin cabin berth’s share a bathroom. 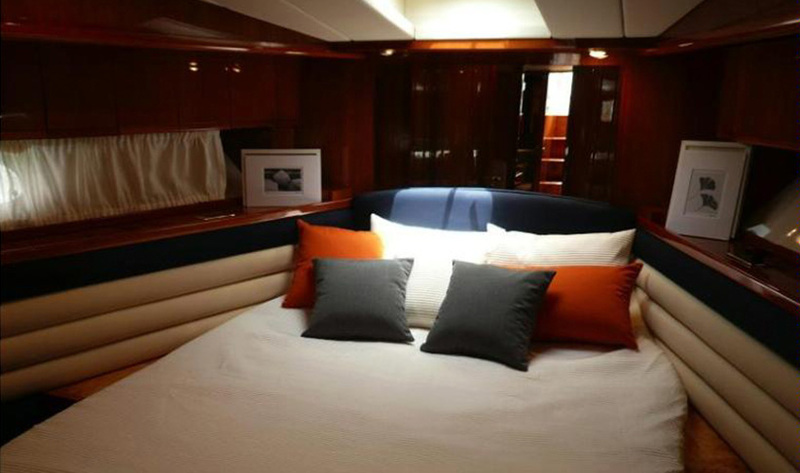 And there’s a separate aft cabin with double berth and W/C for the crews. 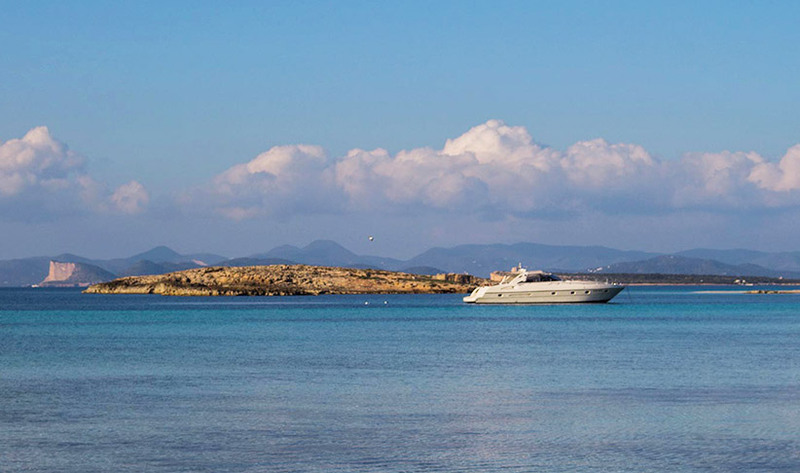 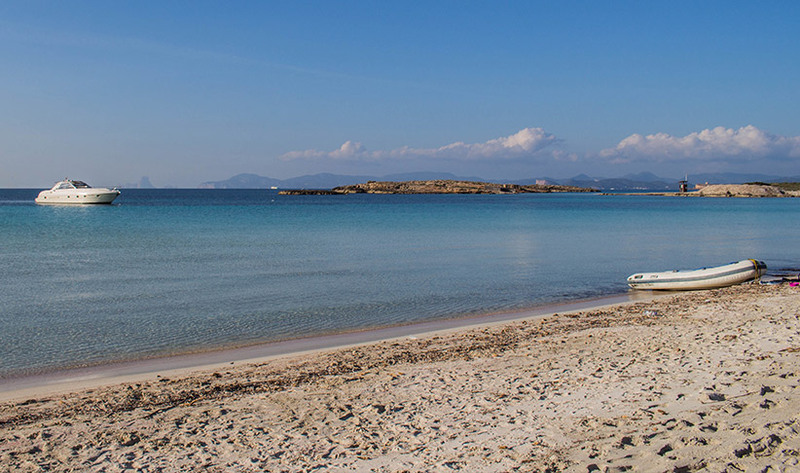 Average fuel 3 stops to Formentera is €350.